Don’t wipe the blood too soon, Zombie Disco! As soon as you’re finished stuffing what’s left of your face full of human fleshy parts at the 9th Annual Richmond Zombie Walk, take a nap until 8pm. 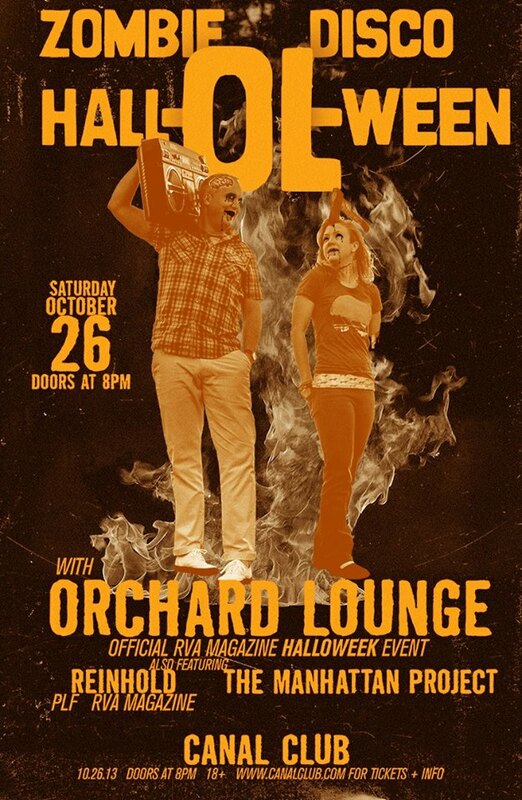 Then head on over to the Canal Club where RVA Magazine’s Saturday jam is going to go down. Orchard Lounge presents Zombie Disco! The best part, from 8-9pm ZOMBIES GET IN FREE! Head on over to www.thecanalclub.com for more info. See you there!